The gravest outcome given the political hysteria attempted to worked up of the threat of terrorism is the lost of freedom. The editorial in The Weekend Australian, which contained an extraordinary attack on the ABC and Fairfax (the owners of The Sydney Morning Herald), argued, much like Gerald Henderson, that they did not the new reality of Islamic terrorism, and that the journalists and their editors were stuck in the past. They had a preoccupation with making analogies with Vietnam. Miranda Devine had ran a similar line in last thursday’s Herald. Tim Dunlop presented a critique. Instead of this hysterical, even undemocratic line of argument, it would be more constructive to cool rational analysis. It is probably a fair observation to make that the Howard troop commitment might increase the risk of terrorism. Much like the invasion of Iraq, its purpose and motivation does not seem to me to be complelling. The government did not wait for the new Iraqi government to be formed, and for them to extend an invitation, which they may not have extended. A major purpose of the new Iraqi government, and a major motivation for many Irqi voters was to remove foreign armies, in particular the Americans, from their country. Howard as he seeks to manage public opinion in Australia, ignores public opinion in Iraq. In this climate, Mamhoud Habib, for example, has already been pronounced by many as a terrorist. Therefore what was done to him was his own fault. Somebody who receives training in “terrorism” is a concern, and it might be reasonable to hold such people to prevent the commission of a crime, in which perhaps many people might die, but they must not be held indefintely with charge, and without independent judicial review, and without the presumption of innocence, and nor should they be subject to cruel and unusual treatment. If you seek to fight the mafia, you should not steep to using the methods of the mafia, because to do so, aside from the issue of effectiveness, is to stoop to same moral level, and thus to become criminal. The British are far more experienced with dealing with terrorism. They are faced with the same issues realted to the return of Guantanamo Bay detainees. Robin Cook points out that lessons were drawn from Norther Ireland. When you mistreated individuals, you also ran the risk of alienating the communities of which the individual was a member. We are engaged in global cultural politcs. Imbued in an ideological position, The Australian editors seem not to be aware of its significance. Although they often do, the media seem oblivious to a central process of media management by politicians and the influence the “think tanks”, especially the American ones, have in setting the terms of debate. I noticed the common argument that we had some sought of moral obligation to support Iraqi Democracy, even before an Iraqi government based on the results of the recent election, had been established. “The effect of the bill will be to abolish trial by jury in at least half the cases that currently come before the courts and will to a significant extent abolish the presumption of innocence. Our strategy should therefore be to insist that the bill does not diminish the liberty of the subject but amplifies it; that the true liberty of the subject consists in the freedom to walk the streets unmolested etc., etc., secure in the knowledge that if a crime is committed it will be promptly and sufficiently punished and that far from circumscribing the liberty of the subject this will enlarge it. Mr Bennett wrote his play before Mr Blair wrote his bill. Mr Blair has not seen the play. Last spring, when The History Boys was first performed, Irwin’s speech may have struck some as an amusing but exaggerated parody. Yet it is a tribute to the sureness of the playwright’s ear and touch that Mr Bennett should so surely have anticipated the language and ideas that Mr Blair has now adopted. It is a perfect example of life imitating art. To my knowledge, no Australian newspaper has held John Howard to account in a similar way. To become excessively ideological has the risk losing sight of the politcal process, and to believe that ends are justfiable by means, regardless of how those means serve to erode the democratic process and cause of individual justice. The Gallop government was returned comfortably. This was an outcome that did not look likely at the beginning of the election campaign, and there were whispers that its demise would increase the lustre of the federal government, including as we are sometimes lead to believe Howard’s charisma. Instead now we will be told that this result has no federal implications. Most governments in WA get two terms. People who voted for Howard, have now also voted for Gallop. They appear to be making a pragmatic judgement. From the premier’s comments in his speech confirming his majority, he appears very much aware that State Governments are judged on their competence in providing and running services – health, education and the rest. It looks to me that the great canal project was detrimental to the Liberals cause. But water management, and the enhancement of water supply, as we know from the water restrictions we have in the wider Sydney metropolitan region, is a State responsibility that has a direct bearing on us. To those of us inclined to pessimism, or even just to realistic sober thinking, there is reason to wonder whether Australians are doomed to a declining standard of living in a steadily deteriorating environment. Fortunately, according to Jared Diamond there are “signs of hope”, but nevertheless we are in an exponentially accelerating race between environmental survival and doom, depending on the thinking and actions of governments, and other decision makers. There is not a disconnect between the local and the general as far as the environment, which by this account determines our long run well being, is concerned. The striking thing about the WA election is the presence of the rural/urban gerrymander, reinforced by even more disparate bias for country voters in the Legislative Council. Still I do not think that people who live in Bunbary and Albany are country voters, or if they are, they are as much non-urban dwellers as those of us who live in Wollongong. Finally, it is reassuringly normal, not withstanding any environmental or other challenge we may face, that the argy bargy, sometimes described as “buck passing” between Federal and State levels continues unabated. it has shifted too far to the left. with at most a moderate movement. Any suggestions to fix the problem, one way or another, would be appreciated. 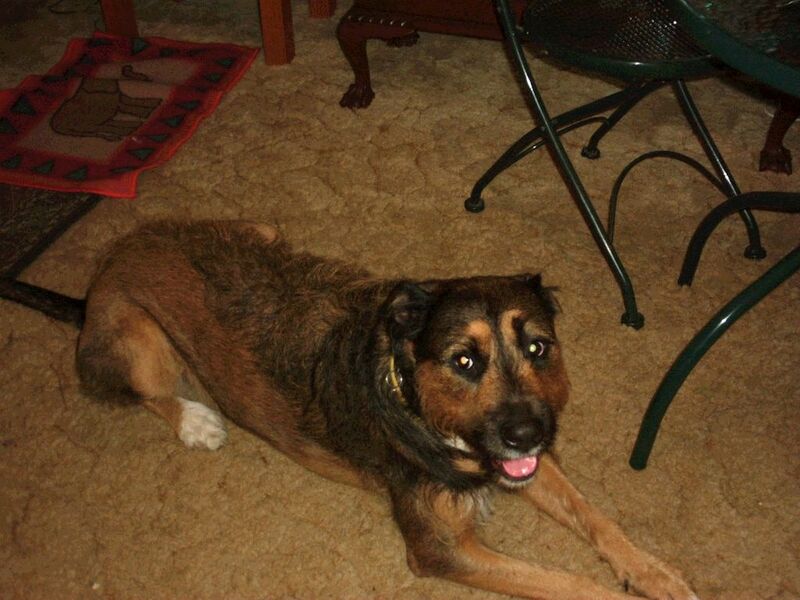 It is time for dog blogging. Today, I feature Sasho lying still for a change. She is never like that when she is out on a walk, especially when she off the lead. Do not be deceived. She is as she appears personable, but in her genes, or her breeding, she is a hunter. This picture is not clear, but Sash’s interest is leading Taffy. 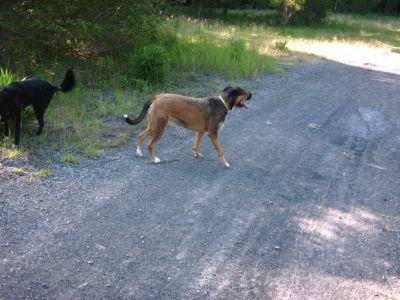 Dogs of Liberty – Sash to the right and Taffy centre in the distance. I have a greater respect for wildlife photographers, and yep, cat bloggers too. 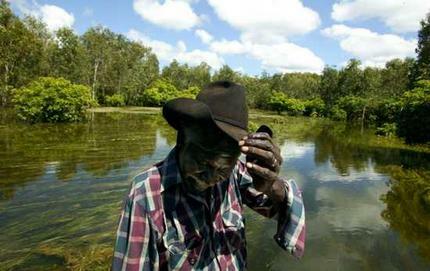 Kakadu National Park – Sydney Morning Herald (Photo: Glenn Campbell). The Sydney Morning Herald carried this photo with the accompanying story on its front page yesterday. It seems the success of the Kadadu National Park as a tourist destination requires the participation of the locals. 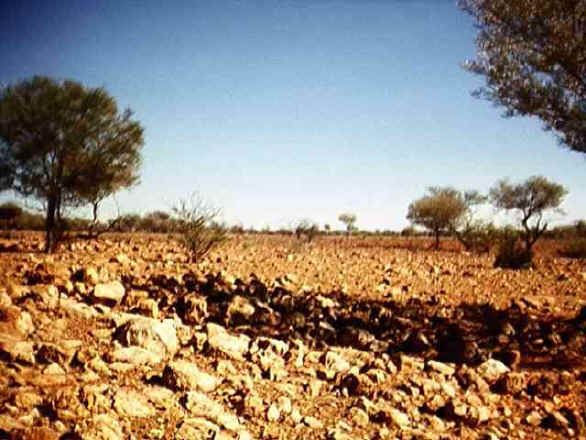 There is a contrast with dry and arid image of outback Australia, and perhaps this picture might give an impression of what might have been 55,000 years ago, if the speculation suggested by some scientists is correct. Given my own observations concerning the loss of the “legendary and mythic” dimension to the history of most localities, and their survival at tourist hot spots – examples Uluru and Rotorua – I have failed to understand the potential multi-cultural potential of the tourist experience. 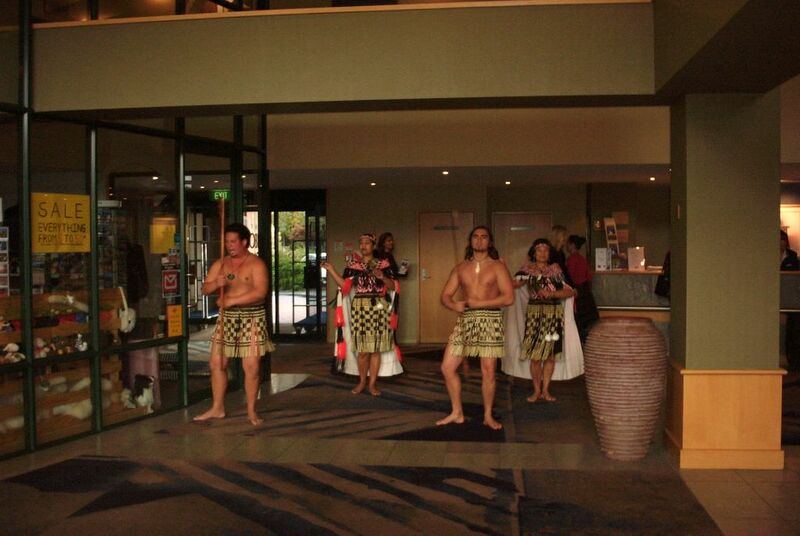 A Small Maori Party greeted us in the hotel foyer at Rotorua. The human stories add to the inherent geographical and geological interest of place. These ruminations places tourism in a new light for me, not to mention the importance of tourism within the economy of this and other countries. It is not poverty, religion or culture that is a major cause of terrorism, but alienation from rapidly changing societies. This was one of the main points made by Prime Minister Balkenende at a terrorism summit in New York. In his speech, Mr Balkenende urged countries to identify the causes of extremism and terrorism as well as fighting terrorism. Poverty and lack of opportunity are not the main cause of terrorism. According to the Prime Minister, the terrorists behind the attacks of 11 September 2001 were neither poor nor poorly educated. Nor can terrorism be linked to a specific religion or culture. In changing situations, people look for familiar ‘anchors’ to cling on to. ‘Religion, culture and traditions […] can provide stability, but in the hands of extremists they become a tool for radicalisation, hatred and resistance to change’, the Prime Minister claimed. 1. The Dutch troops were under British Command. 2. The Dutch went in with reference to a UN Resolution. 3. The Dutch had an exit date. This question, as to why the Dutch are leaving, was raised on John Quiggin’s post, where it has been totally ignored. My comment is number 53. I have not answered it. There is certainly an interesting comparison and contrast between the Dutch and the Australian commitment. I may be wrong, but I suspect, the Dutch case for involvement in post-invasion Iraq was arqued through their parliament. Unlike us, where Howard has ignored parliament. I do not see us getting out of Iraq now, without the American’s permission.Despite what the editorials say, I reqard this commitment as grossly foolish. Our government does not appear to have thought about terrorism, as evidently the Dutch prime minister did back in 2003, and yet it is prepared to embrace police state methods and mentalities as we see in the case of Habib and Hicks. Some researchers are suggesting that the outback was created by early humans burning the forest cover. The Independent reports that the disappearance of the former tree cover over this area, and the rain it attracted, matches the arrival of early humans. Over time the soils have been so degraded, that reafforestation is not a practical option, although it would not hurt to have more trees. I am not sure about this hypothesis myself. 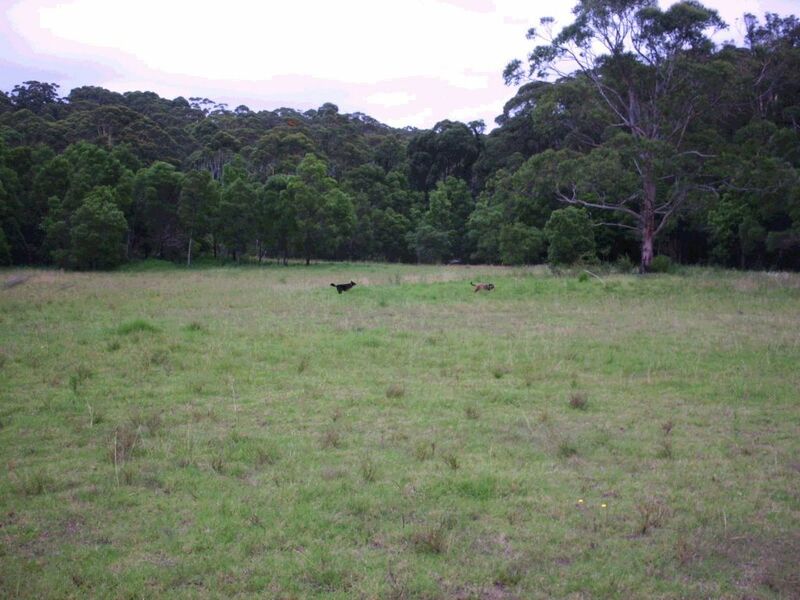 I suspect that the forest, if it anything like now, would be susceptible to bush fires. So perhaps early humans had an incidental role. Still, I think, the conclusion holds: the more the worlds rain forests are destroyed, the more suspectible we become to detrimental climatic change. To my knowledge, and in my experience this has never happened to City Rail – but perhaps it could. This Auckland commuter train seems to have caught fire. There were no injuries. The photo and the story are from The New Zealand Herald. Not to be contentious, but I simply point out that the Auckland Metropolitan train service is run by a private company, whereas in Sydney, CityRail (extending to Newcastle, the Blue Mountains and Wollongong) is answerable to the NSW Government. Prime Minister John Howard has announced a dramatic escalation in Australia’s military contribution to Iraq, at a cost of up to $300 million a year. Mr Howard says Iraq is at a “tilting point” after the country’s landmark elections and Australia will send an extra 450 soldiers to what he describes as a “reasonably violence-free” area of southern Iraq. The soldiers will mostly come from Darwin’s 1st Brigade will leave in about 10 weeks. They will train Iraqi forces and provide security for Japanese troops involved in the humanitarian effort. Mr Howard says the extra soldiers will replace a withdrawing Dutch contingent. “Unless additional security could be provided to replace the Dutch, then there was a real possibility the Japanese could no longer remain there and that would be a serious blow to the coalition effort,” Mr Howard said. Australia will also send 40 armoured vehicles. Mr Howard says it is essential that Australia contribute more to help rebuild Iraq. “The Government believes that Iraq is very much at a tilting point and it’s very important that the opportunity of democracy, not only in Iraq but also in other parts of the Middle East, be seized and consolidated,” he said. Mr Howard says the additional Australian forces will be needed in the country for at least a year. Mr Howard says the coalition must stay in Iraq if the country is to make a successful transition to democracy.”It will take time and if we were to see a crumbling of coalition commitment, I think the likelihood of Iraq completing the transition to democracy would be absolutely non-existent,” he said. 1. Howard usually lies, or at least, twists whatever the truth might be. 2. There is a good chance this is the thin edge of the wedge. After a suitable period expect further deployment. As was to be expected Aussie-blogdom is running hot with this development. Tim Dunlop quotes chapter and verse of past statements by the honourable Messers Howard and Downer. There is a contested set of views at John Quiggin’s place. Gary at Public Opinion sees the inherent contradictions. Hugh White suggests we have a moral obligation to help Iraq since we were part of the invasion. I would like to think we would help them anyway, always recognizing there government, and their democracy was their responsibility. The question not asked is why did the Dutch decide to withdraw. The Sydney Morning Herald editorial continues the idea of moral obligation. Of course, had the troops been taken out before Christmas, we would not find ourselves in this predictament, but that would have been cutting and running. Much like the Dutch and others really. Greg Sheridan in The Australian has no doubts that the decision to send the contingent to protect the Japanese is the right thing to do, and John Howard, with a heart of a gambler, is a great guy for making this decision. The American Occupation Army, according to this story in The Independent, are preparing to attack the city of Ramadi. We can anticipate the hospitals will be among the first targets, and the media will be excluded. Such attacks on civilians, go without comment. Who will be prepared to count the civilian dead? What excuses are there for such immorality? Should not murderers be brought before a court? Once the murderous attack begins, there will be five to ten days media coverage, and then the dead will be left to rot in the streets. A replay of Falluja. The American military is claiming that it is acting on the orders of the Interim Government, which given the recent elections and the time needed to form a new government, seems preposterous. In other words it is the American agenda, not the Iraqi agenda. Nevertheless back door negotiations with the “certain insurgents”, as also reported by The Sydney Morning Herald is a good development. Going from Troppo to Bankstown, I found myself located within the boundaries of a matrix, and in a minority of partial moral disorder. These questions purport to measure moral values, which presumably underlie voting (and other behaviors?). The test can be sat at Dogfight at Bankstown. Here are my results. 1.2% had the same score as you. 22.9% were above you on the chart. 69.9% were below you on the chart. 71.8% were to your right on the chart. 20.4% were to your left on the chart. Socialism is a political system that blends NonConformance and Interdependence. Socialism believes society can and should be organised along social lines, that is, for the benefit of all, rather than for what is perceived as the profit of a few [Interdependence]. Its key ideas are opposition to capitalism, and a belief in equality, both political and economic [NonConformance]. Moderate Socialism is the variation of Socialism that blends NonConformance and Interdependence in moderation.People in this category will tend to have have balanced and moderate opinions about loosening the moral order (gay rights, ecology, drug legalization,…) and about expanding collective initiatives (social programs, industry regulation…).This variation overlaps with these ideologies:Social Democratism andInternational Socialism. So, in a manner of speaking, and I did not think much about the answers, the only way I can do these tests, there I am, and there I go. This cannot be too difficult – or at least I hope it is not. I seem tangled up in blogrolling. On the balance of probabilities, it appears to be that Mamdouh Habib was tortured and severely mistreated in captivity, and he was not Robinson Crusoe in that regard. It is likely because of his torture, that the Americans could not effectively charge him, and so they released him to the Australians. In so far as the government has a case, it seems to rest with Habibs activities in Pakistan. He refused to give answers to related questions in the 60 Minutes interview on his lawyer’s advice. It seems that Habib troubles started when he intervened on behalf on two Germans. He was then arrested, and at some point soon after the Germans were let free. ASIO and other government agencies claim to know now all about Habib’s activities in Pakistan. Did they know at the time or did they find out later? As the SMH article points out, the government seems to know what he was doing before his captivity and nothing after. A likely story. Nevertheless, more details about Habib’s Pakistan escapades are given in today’s Sydney Morning Herald and The Weekend Australian. Since the sources are not attributed, it is reasonable to suppose there is speculation involved. Nonetheless, it is disturbing to hear an official advocate, or excuse, the use of torture. In my mind, this admission, assumed to be true, makes the case stronger for judicial oversight of officials behavior – in other words the rule of law. After the dogs come back from their walk, they often have a paddle in the dog pool. Taffy, on this occasion, seems pleased with the experience. Sasho out on the loose. 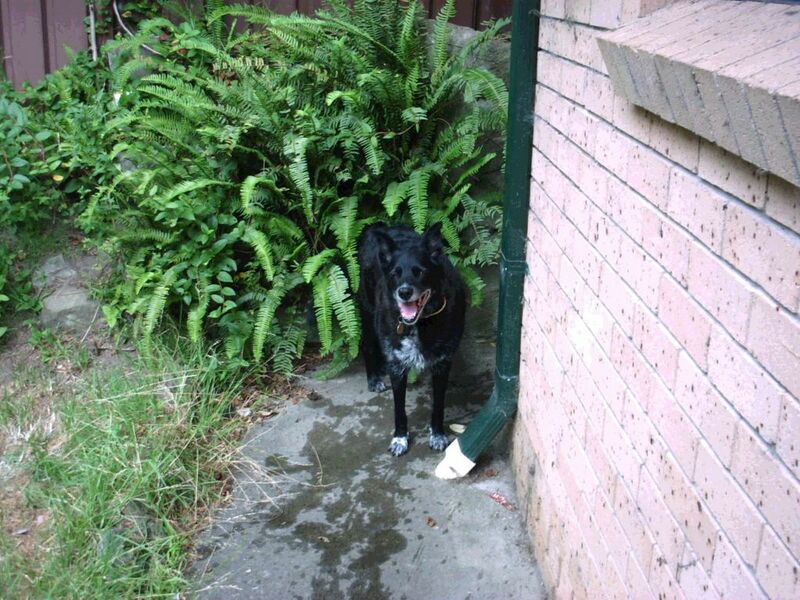 Sasha, not yet a lady of eighty – in dog years – is still one for searching. She would be looking for a goose if one happened by. But she does not meander when she sees anything that takes her fancy. Freedom is not without its problems and responsiblities. This whole dodge is in honour of Kevin Drum’s cat blogging from Calpundit days. At some point soon, the ABC will again have it’s funding subject to review by this Government. The story told about the Australian involvement in post-invasion Iraq, and with regard to Mamhoud Habib is unravelling before our eyes. The tactics of the Government, beginning with the Prime Minister, are to do anything but accept responsibility. They are, I believe, engaging in the politics of denial of responsibility. The first step is always to blame somebody else for making mistakes – usually the bureaucracy. A secondary step, is to besmirch the messenger in a general way which is not linked to the particular case. From the Senate Estimate Committee hearing, we learn that up to eight Australians have been directly involved with the process of eliciting information from Iraqi prisoners. The semantic dispute, on which the government is standing its ground is the distinction between interviewing and interrogating, which seems to be the role of good cop/bad cop routine. Defence Minister, Robert Hill endured seven hours of interrogation before the committee, following the ABC Four Corners programs interview with the former intelligence analyst, Rod barton. Hill contends that the Australians were only authorized to interview, despite the evidence that some subjects appeared before them hooded and accompanied by armed guards, which according to his argument is evidence that the process of entered into by the prisoners on a voluntary basis by which they could leave at any time. Sure. As I have said – the politics of denial in action. This is true for any government. It is rare for governments to be caught out, and I suppose by the next election this incident will be forgotten. The Senate through the estimates committee is playing critical role in exposing liars and half truths that go with running the country. Commissioner Mick Kelty, appearing before a Senate Committee was in effect running the government’s line with respect to Mamdouh Habib by saying he was making up stories of being tortured by “men in yellow uniforms” while he was in Pakistan. Habib’s story was not believed. The head of ASIO, Dennis Richardson, backed up the Commissioner’s story. He accused Habib of running around with cut throats. Since Channel Nine cannot be attacked, and since the government will not make a general case against the Media, the ABC will be singled out, as it has been in the past. Afterall, the situation is ridiculous, it is the government station, and it is not taking the government’s media releases. “These matters are very sensitive”, Habib’s lawyer is reported as saying in part in the Sydney Morning Herald today, while despensing with the services of Professor Tennant, who claimed that he had tried to get in contact with Habib or his lawyer before appearing on the ABC. Time will tell whether this action was wise. Columnist Miranda Devine argues in the Herald that the focus of criticism on less popular and less significant matters, is giving the government a free ride. Howard, she reports, was chuckling in question time. I do not thing she is right, but I do want to diversify the opinions available at this blog. Posted by wmmbb in Multiculturalism, The Neighbours. 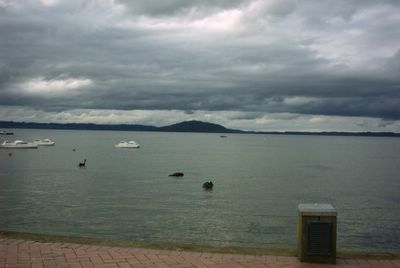 Lake Rotorua – a peaceful scene with legendary and geological violent resonance. That hump in the middle is Mokoia Island. Yes I should get a better picture. To do that we will need to take to the air – but since this is Rotorua before the air takes to us. 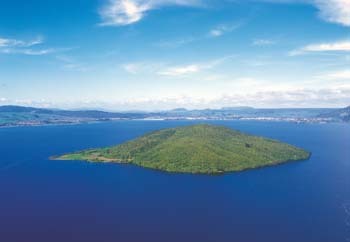 Lake Rotorua is the second largest lake in the North Island of New Zealand, and covers 80 km2. It is located in the Bay of Plenty region 50 kilometres south of Tauranga. The city of Rotorua is sited on its southern shore, and the town of Ngongotaha is at the western edge of the lake.The lake was formed from the crater of a large volcano in the Taupo Volcanic Zone. Its last major eruption was about 140,000 years ago. After the eruption, the magma chamber underneath the volcano collapsed. The circular depression left behind is the Rotorua Caldera, which is the site of the lake. Several other lakes of volcanic origin are located nearby to the east, around the base of the active volcano Mount Tarawera. A chain of three lakes (Rotoiti, Rotoehu and Rotoma) are located to the northeast of Lake Rotorua. Lakes Rotorua and Rotoiti are connected by a small channel, and both drain to the Bay of Plenty via the Kaituna River. Mokoia Island, close to the centre of the lake, is a rhyolite dome. It is probably New Zealand’s best-known lake island, and is closely associated with one of the best-known Maori legends, that of Hinemoa and Tutanekai. Owing to the geothermal activity around the lake (including still active geysers and hot mud pools), the lake has a high sulphur content. This gives the lake’s waters an unusual yellowish-green hue. Legends from different cultures might be expected to have contrasting elements. The story of Hinemoa and Tutanekai ends happily. One or the other is on Mokoia, and the legend involves swimming across the lake. I was told that Tutanekai called Hinemoa with a trumpet made out of the thigh of his grandmother. On reflection, it is rare for such stories as this to survive due to, no doubt, the indifference of the invaders and the later generation. Place names remain – Wollongong, Wombarra, Bulli, Woonona, Thirroul, Corrimal – but meanings are lost. Make your list in your own locality. So that in our case we walk through a landscape in which the memory of at least 40,000 years of human experience is stripped away, I suspect irretrievably. The exceptions are few, places like Rotorua and Uluru. 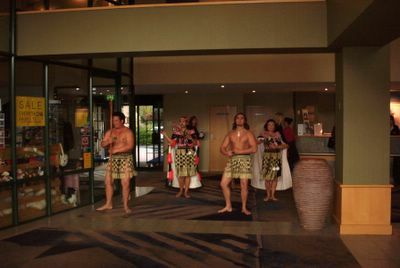 The difference is Maori has been in New Zealand just over a 1000 years. This story is similar to the native Britons who were pushed off their land by the invading Anglo-Saxons. 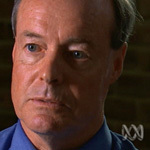 Rod Barton says he told government of prisoner abuse in Iraq (ABC News). Concern that Australians were involved with torture, or otherwise complicit in the practice of torture is now an issue raised in Federal Parliament. It has been given prominence by the now public evidence of Rod Barton, who seems to have been in a position to know, and his statement that he alerted the Defence Department. His evidence would suggest that some prominent Australian politicians have been caught out lying, provided Barton is a credible witness. Labor has pursued his claims in Question Time but Mr Howard says Senator Hill and other defence officials will answer questions on the issue at Senate estimates hearings tomorrow. Mr Howard’s refusal to answer four questions on the matter has angered Labor’s Kevin Rudd.”The arrogance of this Government has begun to consume them – it has become in fact the death of Westminster,” he said. Foreign Minister Alexander Downer has accused the Opposition of a smear campaign. “It’s this kind of pedantic attempt to try to prove that Australians were involved in the Abu Graihb abuses,” Mr Downer said. The comments and mentality of the Foreign Minister underlie again – at least this time he is not lying – what a star performer on the Australian political stage he has become. Habib’s interview with Channel Nine last night and his prior interview with the NY Times has sent the hares running. It is notable that the Opposition is taking up the issues in Parliament. Cornall does not believe that Habib has a legal case against the Government, based on media reports. The Opposition pressed the Government in Parliament during question time, which gave rise to the preposterous admission by Ruddock, that he was unaware as to why Habib had been released by the Americans – a likely story. Bob Carr ran off at the mouth. He virtually described Habib’s lawyer as hopeless. He then went on to say that Habib was in effect a terrorist, and he had to account for his actions and the reasons for visiting particular places. Meanwhile, the Government, in the form of the Prime Minister, proclaims that Habib has no entitlement to compensation. Given Ruddock’s admission this seems like a half formed judgement at best. We have to see how these defenders of civic virtue stand as the facts ooze out from their darkened repositories, given an airing and rain down upon those who would condemn a man without a trial, or even the presumptions of natural justice. Is it now starkly obvious that human rights are more vulnerable in the absence of a Charter of Justice or Bill of Rights? And out of left field, we have the report of a former weapons investigator(spy) stating that Australians were involved in the interrogation of prisoners in Iraq. He actually warned the Government that Australians were aware of prisoner abuse before the story of Abu Ghraib broke. The plot has gotten murkier. The head of the Australian Secret Intelligence Organization has confirmed that they knew that Habib was in Egypt. This news, or if you will intelligence, comes as big surprise, especially in the wake of government ministers claiming that they could not confirm this fact. Now the argument is advanced that Habib was mixing with murderers in Pakistan, without acknowledging that he may not have been aware of their background. The Sydney Morning Herald gives a fuller explanation of the actions of the head of the Attorney-Generals. He apparently wrote to Habib’s lawyer to establish whether there were grounds for compensation to be paid. The New York Times has today published an account of Mamdoub Habib’s experiences in Pakistan, Egypt, Afghanistan and Guantanamo Bay. At every point, it appears, he was tortured. The worrying thing, for which action must be taken immediately his story is confirmed, is that at Australian officials were involved. If his story is true, then Australian officials lied about his incarceration in Egypt. He is either lying or misinformed. Any reasonablly careful reader of a daily newspaper could draw this concluson. The Independent reports that a British ministers are demanding that the torture allegations of a former British detainee, Moazzim Begg be reinstigated after his allegations were denied. Begg, not surprisingly, is undergoing psychiatric treatment. Beggs lawyers are claiming it is too little, too late. In my view, it is never too late to investigate serious criminal behavior. You have to wonder what the Federal Government is playing at, in their response to Habib and Hicks.